How should the Government of India formulate its Pakistan policy with regards to the Pathankot attack? In as much as I am a supporter of PM Modi’s initiative, and despite being an eternal optimist, as surely as night follows day and the sun rises in the east, our friends from LeT, JuD, IS, IM, JeM, or some such “non-state” children of Pakistan are going to pay us a return visit soon! What was not known was which Tanzeem would be selected, where the attack would occur, and how soon it would be executed. The attack on the airbase in Pathankot by terrorists from Maulana Masood Azhar’s Jaish-e-Mohammad (JeM) has settled these issues. I now unfortunately complete this piece in the aftermath of this attack. Of course, I am not claiming any particular insight or intelligence in having come to this conclusion earlier, as this was widely expected both in the “analysts” community, as well as in the government of India. Where most analysts struggle is to answer questions on what should be India’s long-term strategy as far as Pakistan is concerned, given that both extreme positions (all-out war and quiet acquiescence) are unacceptable. For nearly 18 months, the Modi government has faced criticism from the Opposition that it did not have a consistent “Pakistan” strategy (as if governments before the present one did). In response, Modi staked significant political capital, and even his personal safety, and made the trip to Lahore. This initiative had been positively received across the world, in Pakistan (except by Hafiz Saeed), and even in India (except by the Congress party). I have written extensively on this issue in the past (read here, here and here). This is an updated and contextualised take on this topic. I have broken this piece into three parts, i) Understanding Pakistan; ii) What not to do; and iii) What to do. When one talks about tackling a normal state anywhere in the world, one essentially talks about how one needs to engage with, reward, or punish the government of that country, as it is the government which normally takes actions on behalf of a country or people (irrespective of whether it is a democracy or not). Pakistan is an abnormal agglomeration of disparate interest groups, masquerading as a state. Understanding its various hydra-headed components is important, as the approach needs to be nuanced to tackle each head separately, for it to have any chance of success. Winston Churchill has once famously said, “Consistency is the luxury of mules”! As the operations at the Pathankot Airbase wind down, it is but natural that they will now come under intense and thorough scrutiny, given the manner in which it played out and the disproportionate level of casualties incurred and time taken in neutralizing six terrorists. Both, the investigations by the National Investigating Agency (NIA) and the Air Force Court of Inquiry will not have the professional expertise to go into the actual conduct of the counter-terror operations and we are thus . 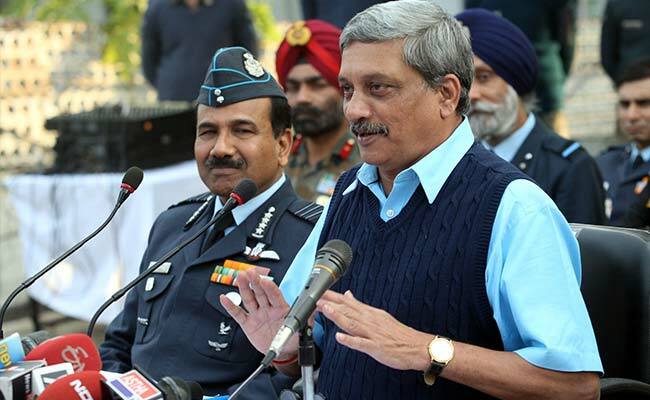 Defence Minister Manohar Parrikar addressing press at Pathankot Air Base. NEW DELHI: With the operations at the attacked Pathankot Air Force base nearly complete, details are emerging of a Command and Control fiasco that unfolded -as six terrorists were battled, there was a damaging tussle for operational control between the Army, Air Force and the National Security Guard or NSG. A senior army officer closely involved in monitoring the operations told me, "This is the worst planned operation in more than three decades." At least two top army leaders who have spoken to me but cannot be named for obvious reasons believe the overall command of the operation should always have wrested with the Army since there has never been a case where command of an active operation has been transferred from the Army to the National Security Guard, an elite police force under the Home Ministry. In this case, the NSG was given the lead role after two columns (60 men) of the Army had already been deployed in Pathankot in anticipation of an impending attack on the airbase. General VP Malik, the former Army Chief says, "Command of an operation is transferred to the Army once they are called for an anti-terrorism operation and, in this case, defence of an airfield operation." I have also been told by reliable sources that there was a full-fledged disagreement between an Army Brigadier commanding operations till then, and the Inspector General (Operations) of the National Security Guard, who flew in on the orders of the Home Ministry. The situation became more confusing when the Air Officer Commanding, Western Air Command, was asked to fly to Pathankot to take key decisions in the conduct of the ongoing encounter prompting another disagreement, this time between the Air Force and the National Security Guard. The lack of cooperation and coordination between the different agencies was blistering. Ultimately, the Army Brigadier stood down since he was junior to the NSG's IG (Operations), who has the rank of Major General. The National Security Guard ultimately retained overall control of the remainder of the operation though the Air Officer Commanding, an Air Marshal, remained on the airbase. 'What India has failed to acknowledge is that sub-conventional war is the name of the game and irregular forces have emerged with greater strategic value over conventional and even nuclear forces, and reliance purely on conventional force and diplomacy is grossly inadequate,' says Special Forces veteran Lieutenant General Prakash Katoch (retd). Having suffered Pakistan's proxy war for the past several decades, it was unlikely that the Pakistani military would not respond with alacrity to the display of Modi-Nawaz bonhomie at Lahore recently. We should heed Ayesha Siddiqa on the military's stranglehold on Pakistan both for the enormous money it makes through corporate-private business ($20.7 billion in 2007) and the power it wields in every segment including defining the foreign and defence policies of Pakistan. After the Taliban strike at the Army School Peshawar on December 16, 2014, Siddiqa maintained that India remains enemy number one. In order to retain the power and money, the Pakistan army must remain in confrontation with India and Afghanistan. Moreover, the recruiting base for both the military and terrorist organisations are common and many sections of the Pakistani administration are aligned with terrorist organisations, many politicians also having won elections with terrorist support. Pathankot: Policy mismeasures Why was the NSG deployed in a cantonment with army resources? The visible sequence appeared quite damning. The terrorist operation in Pathankot was preceded by an attack against a serving superintendent of the Punjab Police, whose car was hijacked nearly 20 hours before the assault on the IAF base; an alert had been sounded; the terrorists still managed to penetrate the IAF base and inflict seven casualties beyond the protected periphery, and managed to keep their operation alive (apparently) for a full three days. A cacophony of claims and counter-claims commenced immediately after the media got wind of the attack, and conflicting theories — based on plants by ‘highly placed sources’ — began flying about regarding the identity and affiliation of perpetrators. The theme of a ‘botched’ response by security and intelligence agencies was quickly picked up. The general impression of ‘another 26/11’ was quickly disseminated by frenzied anchors on India’s proliferating news channels. Tactical assessments of an ongoing operation are fraught with the possibilities of gross errors. A detailed evaluation of each stage of response to the Pathankot attack, commencing with initial intelligence that came in on January 1 and the car hijack incident of the early hours of the same day, must await a much more exhaustive and textured understanding of the minute-to-minute developments that occurred. Certainly, some deficits are likely to be found, but the idea of a debacle is not credible even at the present levels of publicly available information. The reality is, there was no surprise when the IAF Base at Pathankot was attacked; indeed, the NSG had already been flown in from Delhi and had been deployed by the late afternoon of January 1, more than 11 hours before the terrorist attack commenced. Whether the NSG deployment was even necessary in a cantonment town with massive availability of local military force, including specialised units, is a question that requires some attention. There has, over the years, been an unfortunate tendency in New Delhi to project NSG as a necessary component of response to any major terrorist incident, to the neglect and marginalization of locally available forces, and this is unfortunate. Locally available first responders should be given priority in all such engagements — as was the case in the July 2015 Dinanagar incident in Gurdaspur. Only when local responders are routinely mobilised for such counter-terrorist operations can one expect a build-up of confidence and capability to make all of India secure. While this may not be a consideration in the present case, the reality is that the NSG cannot everywhere be in time. By the time the terrorists attacked — at about 3.30 am on January 2 — IAF Garud Commandos, an Army contingent and the NSG had already taken positions inside the Base, while Punjab Police units had been deployed around the periphery. For those who understand the processes of assessment and decision making involved, it should be surprising that all this was already in place by late afternoon on January 1. At the end of the operation, a group of six well armed and apparently very well trained suicide terrorists were able to inflict just seven fatalities in a well planned attack that was evidently intended to cause mass damage to the strategic assets of the Indian Air Force located at Pathankot. In this objective, the terrorists failed comprehensively. 'Ajit Doval has done a splendid job in handling the Pathankot attack and certainly helped save heavy destruction of critical air force assets,' says Abhay Jere. Ajai Shukla's column is another example of the pathological hatred within a section of armchair columnists towards Narendra Modi's establishment. Shukla has certainly pretended to be objective while analysing the handling of terrorist attack on the Pathankot airbase, but he has purposefully chosen to overlook/ignore the facts which does not support his viewpoint. 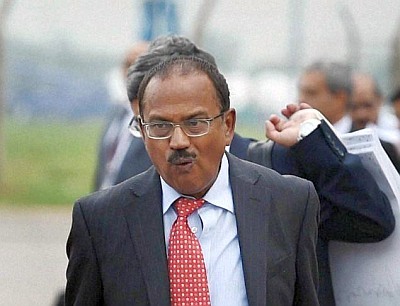 Moreover, he has labelled all the journalists praising the handling of the Pathankot attack as National Security Advisor Ajit Doval's 'cheerleaders'. So now let us systematically dissect the various issues raised by Shukla to perpetuate his prejudice that the Pathankot terrorist attack was poorly handled by Doval and that he is incompetent to be the NSA. The first and foremost aspect of the Pathankot attack was the availability of credible intelligence inputs before the actual attack. This itself a very positive sign as India has paid heavily in the past for not having credible and actionable intelligence inputs prior to any major terrorist attacks like the 26/11 Mumbai attacks. Doval, being an ex-spy, certainly must have done something right to ensure that our intelligence system is geared enough to give credible inputs. Needless to say, if we didn't have the intelligence inputs, then the damage would have been far worse. 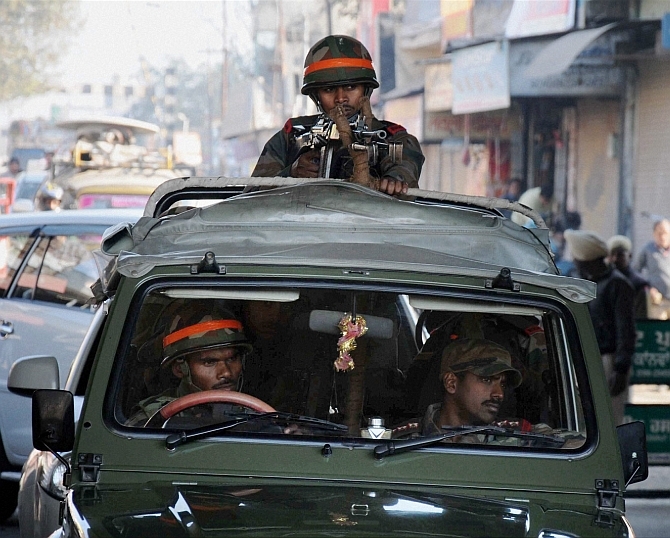 Did data predict the Pathankot attack? Many watchers had predicted a Pathankot kind of attack and so when the attack happened on the 1st of January, this was an 'I told you so' moment for many of these watchers. In a small piece of secondary research done by me and Mihil Bhansali, we attempt to identify the data points that could have predicted a terror attack in Pathankot. The fact is that on the basis of a variety of data points/ intelligence, the Govt was able to forewarn the likelihood of such an attack. This led to a large contingent to NSG commandos being transported to Pathankot the night before the attack. In our approach, we used publicly available data (1999-2015) to see if this attack or an attack in general could have been predicted. Hypothesis: The attack in Pathankot was quite predictable given the fact the previous attack occurred 40 kms away in Gurdaspur. Result: The correlation between increased terror attacks in Pakistan and reduced attacks in India is quite low. Instead, international intervention (2001, 2008) has contributed to reduced attacks in subsequent years. Pathankot attack: Pakistan pushing India for war? The challenge for Modi government will be to use the talks as a test of Pakistan's sincerity and hold its feet to fire on terrorism. Grand diplomatic gestures can certainly play a big role in breaking logjams between countries, provided you are dealing with a normal country. Since Pakistan doesn't quite fit the bill of a normal country by any stretch of imagination, the extremely unconventional and bold gambit of Prime Minister Narendra Modi to "drop in" on his Pakistani counterpart in Lahore was always fraught with risk. And as the Pakistani perfidy unfolded in Pathankot, it became clear that what was always being feared - a stab in the back - had come to pass. Of course, that Pathankot happened within a week of the PM's stopover in Lahore is quite breathtaking in terms of the audacity of betrayal. But this too is true to Pakistani pattern - remember how within weeks, the clouds of hope and optimism that arose after the Lahore Bus diplomacy of Prime Minister Atal Bihari Vajpayee came crashing down on the cliffs of Kargil? Frankly, even though a big terror attack was always on the cards after the flurry of meetings between Indian and Pakistani leaders - Paris, Bangkok, Islamabad, Lahore - but that it would happen so soon, did come as a bit of a surprise. The timing is important because if this attack took a few weeks, even months, to prepare, it means that even as the smiles and handshakes were taking place, the Pakistanis were sharpening their knives to stick in India's back - Kargil 2.0? Alternatively, if the visit of Modi was the provocation, then the fact that the Pakistani terrorists and their handlers have the capability to launch such a major attack within a week of the visit should set alarm bells ringing, nay shrieking, in the Indian security establishment. Perhaps, the "spoilers" were seriously spooked by the somewhat surreal bonhomie that was on display and thought that the longer they took to sabotage the engagement process, the more difficult it will become. Strangely enough, even though everyone is talking about the "spoilers", no one in any position of authority has so far taken the trouble to identify who these guys are. Media blackout of Pathankot attack a lesson learned from 26/11 By not providing timely updates of the attack, the government did not fill the information gap. And just how did this handler sitting nearly a thousand kilometres away, know this? Just hours before, several Indian TV channels broadcast phone-ins with MPs trapped in the Taj. Speaking with victims trapped in a terrorist-infested hotel might have sounded like journalistic due diligence in the din of explosions and gunfire. Broadcasting the conversation live, however, amounted to culpable homicide. As the first group of hotel guests tip-toed out of their sanctuary at the Chambers in the early hours of November 27, they were set upon by the four terrorists. Fifteen guests and hotel staff were gunned down. The slaughter stopped only when Indian Navy’s Marine Commandos arrived and engaged terrorists in a firefight. The bloody link between the telecast and the civilian deaths was deduced only after intercepts of the conversation were publicised by the Mumbai police weeks after the attacks. Which possibly explained the egregious lapse on November 28-- TV cameras broadcast live footage of an IAF helicopter air dropping commandos on to Nariman House. The experienced terrorist handlers in Karachi were possibly delighted at this windfall. Their control room echoing with the breathless coverage from Indian TV stations, they precisely instructed how the terrorists were to face the NSG commandos rapelling from the helicopters. One commando, Havaldar Gajender Singh, was killed as he entered a room fortified by the terrorists. TV channels had, once again, unwittingly turned into CCTV cameras for terrorists. That terrorists use the media to achieve their primary objective of waging psychological warfare is a truism and researchers have weighed in on how live coverage has impacted on their actions. The truth in India-Pakistan relations is not about golden tomorrows but the ingested bitterness about bloody and betrayed yesterdays, and how we can craft a future of a well-functioning, normal relationship despite this. The terrorist blitz-from-the-ground on the Indian Air Force base in Pathankot has brought home to us the fact that there is no brave new world in cross-border relations with Pakistan. Time after time, the same dissonances come back to haunt us. Overtures made, initiatives taken, emotional handshakes seem to vaporise the instant the atavism and distrust-laden DNA in these relations reasserts itself in the wake of such premeditated violence and terrorism. Attacks like Pathankot come with a heavy price — the price paid in lives lost of our defence personnel and commandos, and the jolt that is felt when it is realised that the old days when terrorism bled our people have not gone away, more so when it was just a few days ago that our Prime Minister, like Atal Bihari Vajpayee, decided to go to Pakistan, even if briefly, to extend an olive branch. In the welter of pain felt on the deaths of our personnel in Pathankot, and the doubts that re-awaken about the judiciousness of a policy advocating dialogue with Pakistan, it is important that we are more reflective and introspective in our reactions. First, there is a need to understand that the truth in India-Pakistan relations is not about golden tomorrows but the ingested bitterness about bloody and betrayed yesterdays and how we can craft a future of a well-functioning, normal relationship despite this. Second, diplomacy with Pakistan is essentially like seeking a white flag meeting (as a temporary truce for negotiation, not a surrender) while walking a field embedded with mines. That is essentially the terrain we must negotiate and we will be bloodied in the process. Third, hard-nosed rationality demands that we understand the nature of our adversary, and its multi-armed-and-headed character. The deep-seated antagonism that the vast majority of Pakistanis in decision-making capacities evince for India is a given. There is a Jedi-like dilemma also for India here: how do we face the truth and choose, and how do we use our Force for knowledge and defence? The truth in India-Pakistan relations is a miasma-ridden mass of mutual recrimination, of issues that raise pollution levels to the level of near hopelessness, of enmities that exist only between blood brothers. Understanding that we carry this heavy burden must entail that we must seek to ease it rather than add to its weight. And that is where India’s initiatives to seek dialogue with Pakistan show the right way. They display the strength and flexibility that is the sign of a grown-up nation. At the same time, vigilance being the price of liberty, we cannot let down our guard because irrational violence and the threat of terrorism directed against Indian interests (including in Afghanistan) from across the border have not ceased being the default actions of powerfully entrenched interests in Pakistan. But the problems in India-Pakistan relations must be addressed without the application of mantras and shibboleths. That is where, to paraphrase Yoda again, we must unlearn what we have learned. All the issues that covered the old Composite Dialogue need to be addressed in a graduated manner that still enables focus on the larger picture and the organic whole — which should be the need for a relationship that functions peacefully, is normalising and has the well-being of the people of the two countries at its heart. This should be a relationship that is driven by neither hawks nor doves but by a clear charter of goals and the steady hand of a confident leadership. In a national agenda defined by the need for development, security and good governance, the factor of security stands out in our external relations and cannot be divorced from the work of diplomacy. The Pathankot experience evokes memories of past attacks and the degrees of national preparedness in terms of intelligence assessments, inter-agency coordination, effective response, and communication strategy. Have we absorbed past experience and the ways to avoid the pitfalls of yesterday? When one witnesses the levels of hysteria and cacophony in some of our media channels, the distinct impression one gets is of a dystopian universe of confusion, blaming and shaming and hyperventilation, a news cycle replaced by an outrage cycle as one observer recently said. We are not as a country sensitive to the image we should proactively project, although we are easily outraged by slights to our self-esteem and our perceived sense of India’s place in the world. In times of crises, a war-room approach will help — popularly defined as that bunch of strategists around that big table, with a flow chart and that big board but much more than that. The orchestration of operations concerning security, crisis response, and communication is vital: bringing key experts on deck helps clarify chaotic situations as the experts put it. We need to identify critical gaps, timelines, risks and their mitigation, also the communication process and how the checkpoints regarding media management must be manned. The closure of leaks of information is a critical must. In times of emergency, as we have learnt to do with responses to natural disasters, we must learn to systematise our processes better. Returning to the agenda with Pakistan, let us not forget that there is a very human desire for peace in both countries. Prime Minister Narendra Modi’s recent handshake in Pakistan with Prime Minister Nawaz Sharif rekindled memories of an event from a long-ago timeline — the Christmas Truce of 1914 between German and Allied soldiers — a momentary truce in a landscape of conflict. “Two nations singing a carol in the middle of a war” was how one observer put it. The next day the hostilities commenced again. But from the two World Wars of the last century, the warring nations involved moved to embrace a situation of coexistence and Europe’s battlefields, while frozen in historical memory, do not exist in the present. For India and Pakistan, there is a lot of learning and unlearning involved. The emphasis in our relations with Pakistan must be on keeping the channels of dialogue open together with vigilant intelligence and an astute assessment of Pakistan’s moves. When the two sides meet next, Pathankot will obviously dominate the agenda. It will not be enough for Pakistan to just play the usual signature tune that its state machinery was not involved. India has a legitimate right to question Pakistan’s credibility on this issue. It is a truth universally acknowledged that terror groups targeting India continue to operate with impunity from Pakistani soil. Why is it that Pakistani intelligence and security do not silence them? It is not enough to plead that Pakistan is the worst victim of terrorism today. Much as the world and India felt grief for the lives of innocent children lost in Peshawar, the suffering of innocent Indians at the hands of terrorists with cross-border affiliation on so many past occasions cannot be ignored. This is a peace process, therefore, that has many miles to go. 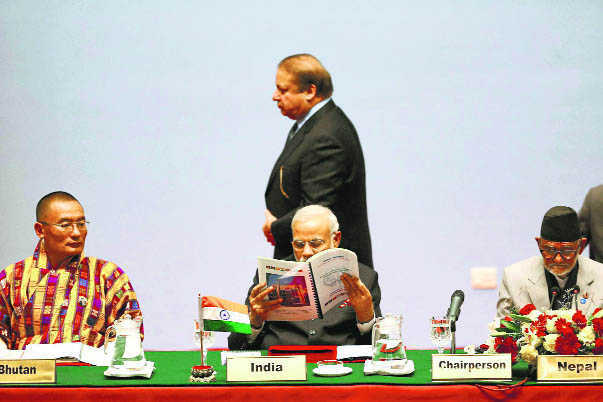 Prime Minister Narendra Modi’s sudden turnabout in talks with Pakistan was hailed as an act of statesmanship. Surprisingly but not unexpectedly, within days, the spoilers, believed to be from the Jaish-e-Mohammed struck the Indian Air Force base at Pathankot but fortuitously failed to destroy any aviation assets. Even as mopping up operations were progressing slowly in Pathankot, terrorists presumably from the Haqqani network attacked the Indian Consulate at Mazar-e-Sharif in Afghanistan. The pincer attack on India in the new year and less than robust response by the Indian security forces at Pathankot raised the usual questions about the prudence of restoring dialogue with Pakistan for the sake of talking the talk, the readiness of the security forces in counter-terrorism operations and soundness of our internal security structures even after seasonal cross border attacks from Pakistan including spectacular assaults on Parliament and Mumbai, and the Indian leadership’s warped idea of a befitting reply. The strike at the air base in Pathankot is riddled with holes, that too after exceptional actionable intelligence was available days in advance. The ground operation has turned out to be the longest counter-terrorism action ever anywhere. 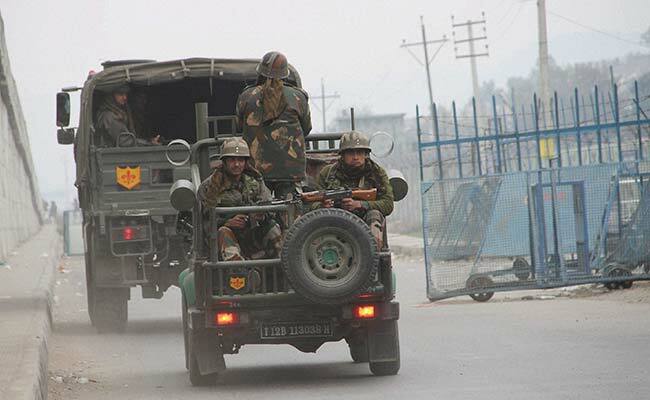 The lapses by the Border Security Force and the Punjab Police were compounded by the deployment of a mixed band of forces confounding the command and control of the operation. In short, had the operation been properly coordinated, some of the terrorists would have been apprehended but that was not to be. Defusing a grenade booby-trapped to a dead terrorist that killed Lieutenant Colonel Niranjan Kumar of the National Security Guard was also a serious lapse. It was not clear who was directing the operation and from where. Several infantry units were available in Pathankot and should have been pressed into service well before the NSG was flown in. Cross border terrorist attacks in Punjab and Jammu & Kashmir have established a clear pattern, but security forces have failed to learn from it. The thermal imagers deployed on the border were apparently not working which reflects the casual approach to counter-terrorism. While great care and caution have to be exercised in counter-terrorism operations, a sense of urgency to terminate the operation is missing. Stretching out operations gives valuable 24x7 publicity to the terrorists and does not reflect well on the fourth largest Armed Forces in the world. An National Investigation Agency enquiry has been ordered and one hopes it will fix blame and some heads will roll. We need to take a lesson from the West, notably the UK, the US and Europe who only recently have had to deal with terrorism. Their accent is on preventing acts of terrorism as nearly 70 per cent of the counter-terrorism resources are utilised in preventing at source, planned events of terror. As that does not appear to be politically and militarily doable inside Pakistan or Pakistan-occupied Kashmir, the next best option is to enhance our intelligence assets, strengthen surveillance on the Punjab border and ginger up the counter-terrorism apparatus in border States and integrated it with the central agency. Unfortunately, neither the National Counter Terrorism Centre nor the National Intelligence Grid has seen the light of day. Is India serious about combating terrorism? Punjab Police gets a tip off at least 10 hours before the first bullet is fired inside the strategic Pathankot Air Force base, but displays poor reflexes which, if avoided, could have prevented the deaths of seven security personnel and a three-day long stand off. It was not just the poor reflexes but also the lack of professionalism, ineptitude, corruption, involvement of some personnel in drug trafficking that the latest terror attack and a few other instances in the recent past have shown about their handling of such situations. It was less than six months ago, on July 27, that one of its police stations - in Gurdaspur - was attacked by Pakistani jihadis. Evidently, even that attack did not perturb the police administration and virtually the same route was taken by the latest groups of terrorists from across the border to launch an attack at the Pathankot Air Force Station. While it is true that the primary responsibility to check infiltration from across the international border is that of the Border Security Force (BSF), it is the responsibility of the police to strengthen its intelligence and information network inside state territory. Its failure to strengthen vigil close to the border despite intelligence inputs of a possible terrorist attack became apparent when an SP-level officer of the Punjab Police, Salwinder Singh, was kidnapped by the terrorists in his official vehicle. Not only he did not put up any resistance, he has also not been able to convincingly explain his presence close to the border for what he claims was a religious visit to a peer. What is even more intriguing is that he takes along a jeweller friend and a cook, rather than a gunman who was provided to him, and goes about in the sensitive area, unarmed. All these aspects reflect poorly on Punjab Police's discipline and administration. It does not seem unusual for police officers to use official vehicles for private purposes and taken along dubious characters. Pakistan's powerful intelligence agency ISI is behind the attack on Pathankot air base in Punjab using a terrorist group it created 15 years ago, a former top White House official has said. Bruce Riedel, who worked in the National Security Council of the White House and was among the few present at the Bill Clinton-Nawaz Sharif meeting in 1999 during Kargil war, said the attack is designed to prevent any detente between India and Pakistan after Prime Minister Narendra Modi's surprise Christmas Day visit to Pakistan. In an article in the Daily Beast, Riedel said the attacks in Pathankot and on the Indian Consulate in Mazar-e Sharif in northern Afghanistan was the handiwork of Pakistani terror group Jaish-e-Muhammad which the Inter-Services Intelligence (ISI) created 15 years ago. He quoted "well-informed press and other knowledgeable sources" for his assessment. He said the ISI is under the generals' command and is composed of army officers, so the spies are controlled by the Pakistani army, which justifies its large budget and nuclear weapons program by citing the Indian menace. "Any diminution in tensions with India might risk the army's lock on its control of Pakistan's national security policy. The army continues to distinguish between 'good' terrorists like JEM and LET and 'bad' terrorists like the Pakistani Taliban, despite decades of lectures from American leaders," he said. Riedel, a former CIA officer, said the Pakistani army has long distrusted Prime Minister Nawaz Sharif, who has advocated a detente with India since the 1990s. "An army coup in 1999 sent him into exile in Saudi Arabia for a decade. His warm embrace of Modi on Christmas Day in his home in Lahore undoubtedly angered the generals," he said. He noted that the US put JeM on the terrorist sanctions list years ago — but it continues to coddle the Pakistani army. "Gen Raheel Sharif, the army's boss, got a warm embrace from the Pentagon last fall—despite the ISI support for the Afghan Taliban's offensive against the Kabul government and despite the Pakistani military's backing of terror groups like JeM," he said. THE terror attack on the Pathankot base is being simplistically interpreted as an attempt by the Pakistani military establishment to detract from Prime Minister Narendra Modi’s brilliant display of diplomacy to ‘drop by’out of the blue at Prime Minister Nawaz Sharif’s family estate in Lahore on December 25. But the state of play is far more complicated than that. Pakistan will keep up the pressure on serious negotiation, which India will find unpalatable. Indeed, there is some sign of confusion also as to whether Prime Minister Sharif wouldn’t have been au fait with Rawalpindi’s sabotage plan. There is an overall lack of clarity in the government’s account of what is happening, compounded by the acute need to cover up the embarrassment over security lapses and the inept handling of the looming threat despite intelligence inputs in advance. The Pathankot terror strike coincides with an attack on the Indian consulate in Mazar-i-Sharif, which also comes within a week of Modi’s visit to Afghanistan. The Pakistani objective appears to be to throw the gauntlet at Modi himself. Make no mistake, the ‘powers that be’ in Pakistan have challenged Modi to live up to his carefully-cultivated self-image as a tough leader who is capable of paying back terrorism with terrorism, waging ‘swift, short’ wars if need be, resorting to ‘hot pursuit’, while playing the subtle ‘great game’ in Afghanistan threatening to dismember Pakistan if push comes to shove. Today, Modi faces a big dilemma. If he decides to live up to his fearsome reputation and orders the subalterns to retaliate with force, there could be unforeseen consequences and the downstream developments will most certainly spin out of control. Washington has already raised the spectre of an India-Pakistan war, alerting the need for the international community’s intervention in the developing situation. No world capital, including Washington, has cared to point finger at Pakistan for staging the attack in Pathankot, which is a sad reflection on the Modi government’s failed containment strategy against that country. Army and security circles are bewildered and angry over the way the government kept the Army from the Pathankot terror hunt, especially in the early phase, when Army troops were available in thousands close by. Instead of pressing Army units into immediate action, precious time was lost in sending a few dozen NSG commandos from New Delhi. Lieutenant-General Prakash Katoch, a veteran para-commando and leading authority on special forces operations in India, said: “NSG is required for a specific target, it cannot tackle an area target.” He said that in a place such as the Pathankot airbase, the perimeter had to be secured first and combing operations to hunt down terrorists should have been initiated. “The Army is the best for that,” he said. The terrorist attack on the Pathankot airbase was a result of a series of systemic security failures at various levels. 1 Despite a huge concentration of Army units in andaround Pthankot, why were they not tasked with securing the airbase? 2 Despite statements by SP Salwinder Singh and his cook that they were intercepted by terrorists, why did the Punjab police not act? 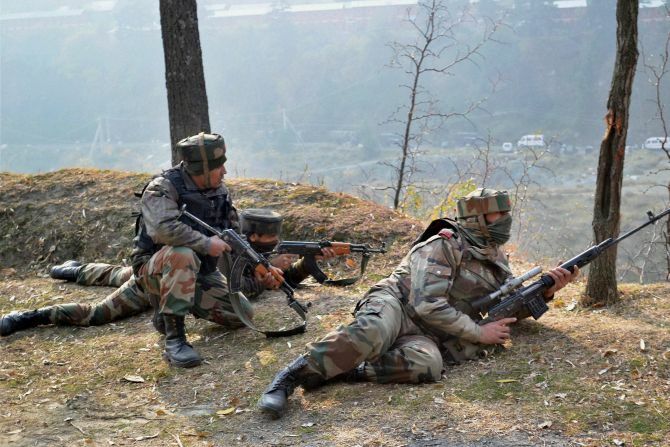 3 Why was the Army not deployed for combing operations? 4 Why were Garud personnel and Defence Security Corps, who are not trained for anti-terror operations, the primary responders? 5 With so many security agencies involved, who was in charge of the operation against the terrorists? Security Expert Bruce Riedel, who in an interview with rediff.com shortly after the Pathankot terror attacks began said that the attack underscored the determination of jihadist groups in Pakistan to sabotage any attempt at detente with India, writes in the Daily Beast that despite the US putting the Jaish-e-Mohammad on the terrorist sanctions list years ago, the outfit continues to coddle the Pakistani army. Pakistan's powerful intelligence agency Inter-Services Intelligence is behind the attack on Pathankot air base in Punjab using a terrorist group it created 15 years ago, a former top White House official has said. In an article in the Daily Beast, Riedel said the attacks in Pathankot and on the Indian Consulate in Mazar-e-Sharif in northern Afghanistan was the handiwork of Pakistani terror group Jaish-e-Muhammad which the ISI created 15 years ago. "JEM was created in 2000 by Mualana Masoud Azhar... Azhar was captured in India in 1994 after taking western hostages in Kashmir. In December 1999, a group of terrorists hijacked an Air India jet flying from Nepal to India and diverted it to Afghanistan. They demanded the release of Azhar and his colleagues in return for the passengers and crew," he wrote for The Daily Beast. Only a week after Narendra Modi dropped in to visit Nawaz Sharif, the rapprochement is in jeopardy. On Sunday evening, gunmen attempted to enter the Indian consulate in Mazar-i-Sharif in northern Afghanistan’s Balkh province. After meeting resistance from the consulate’s guards, the gunmen holed up in a nearby building where they continued to fire on the consulate. After 25 hours, TOLOnews reports that special forces “were dropped by helicopter on to the roof of the building in a bid to eliminate the insurgents.” Shortly thereafter the siege of the Indian consulate was over. Casualty details vary. TOLOnews cites “officials” as saying that a security officer was killed and nine people, including three civilians, were injured. RFE/RL’s Radio Free Afghanistan was told at one point by Muneer Ahmed Farhad, the government spokesman in Balkh Province, that two from the Afghan security forces had been killed. Before the siege ended, Al Jazeera reported the Indian consul-general as saying that none of the consular staff had been injured in the attack. The day before the attack on the Indian consulate, nearly 600 miles to the southeast, militants attacked an Indian air base near the Pakistani border, just south of the contested Jammu and Kashmir region. That attack began early in the morning on January 2, when at least five gunmen entered the Pathankot airbase wearing Indian Army uniforms. On Monday morning, Dushyant Singh, an inspector general in India’s National Security Guard, told a news conference that Indian forces have killed five of the attackers and that “combing and search operations continue.” As of Saturday, officials said at the Monday news conference, the attackers had been confined to a barracks building. The airbase, according to Arun Jaitley, India’s finance minister, is fairly large. He said it would take time to search for any remaining gunmen but that the “strategic assets” presumed to be the target of the attackers were unharmed and had been secured. 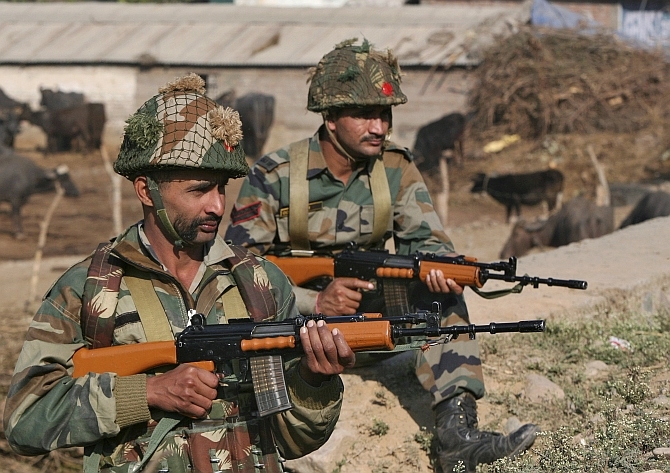 Seven Indian soldiers have been killed in the three days following the initial attack. * Why are the Taliban resurgent in Afghanistan? The Afghan government and its US and Nato allies have been fighting the Taliban in Afghanistan for the past 14 years. But, despite the killing of thousands of militants, the insurgent group has retaken big chunks of the country. There are three main reasons for this resurgence. First, the end, in 2014, of the US and Nato combat mission and the withdrawal of most foreign forces from Afghanistan reduced the risk the Taliban faced of being bombed and raided. The group was further emboldened by the comparative lack of interest from the international community and the diversion of its attention to crisis in other parts of the world, such as Syria, Iraq and Ukraine. 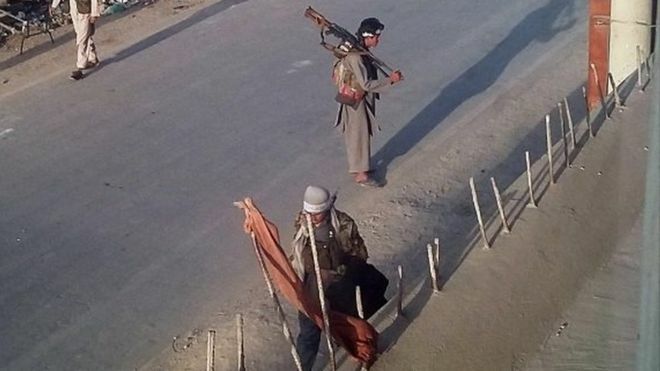 As the Taliban have overrun military bases, district centres and security check-points in different parts of Afghanistan, they have seized more weapons and have been using them in their fight against Afghan government forces. They have also captured dozens of Humvees and police vehicles, which they now drive in areas under their control. Secondly, the Pakistani military's Operation Zarb-e-Azb, launched in the North Waziristan tribal area in June 2014, dislodged thousands of mainly Uzbek, Arab and Pakistani militants, who flooded into Afghanistan and swelled the Taliban's ranks. The Taliban also reportedly moved a big number of their own fighters from Pakistan. And finally, although the Afghan security forces have fought well against the insurgents over the past year, they lack certain capabilities and equipment especially air power and reconnaissance. The political infighting in the central government in Kabul and the apparent weakness in governance at different levels is also exploited by the Taliban. The presence of several thousand foreign fighters has further complicated the situation. Just as the pen can be mightier than the sword, China’s non-kinetic “ThreeWarfares” may prove to be far more effective at expanding China’s maritime and territorial boundaries than any arsenal of missiles or fleet of Chinese aircraft carriers. The Three Warfares were first officially recognized as an important warfighting capability by China’s Central Military Commission and Communist Party in 2003. They include everything from psychological and legal to media warfare. Thus, for example, when China imposes an economic boycott or bans Chinese tourism, it hopes to coerce a Japanese populace struggling with economic stagnation and hungry for prosperity into acquiescing to China’s territorial demands regarding the Senkaku Islands. As for China’s legal warfare, its goal is to effectively bend—or perhaps rewrite—the rules of the international order in China’s favor. A case in point is China’s campaign to restrict freedom of navigation within its 200-mile Exclusive Economic Zone as defined by the United Nations Law of the Sea Treaty. Saudi Arabia’s execution of Sheikh Nimr al-Nimr, a prominent Shia cleric, on Saturday was an act motivated more by politics than judicial considerations. Although in a BBC interview William Patey – a former British ambassador in Riyadh – charitably described Nimr’s killing as a Saudi “miscalculation”, the consequences so far have been totally predictable. In Iran, the headquarters of Shia Islam, demonstrators set fire to the Saudi embassy while the authorities turned a blind eye, and the Saudis have now responded by severing diplomatic relations. Bahrain quickly followed suit and the UAE downgraded its relations too. The execution has also triggered demonstrations among Shia communities elsewhere – including Bahrain, where the Shia majority is ruled by a Sunni minority. More seriously, but no less predictably, the inflaming of sectarianism will have knock-on effects in Syria and Iraq. In Syria, where Saudi Arabia backs Sunni Islamists and Iran is supporting President Assad, we can expect a hardening of positions at a time when international peace efforts are aimed at softening them and starting a dialogue. Ditto with Iraq. As Patey put it in his interview: “If you are trying to repair the Sunni-Shia split in Iraq in order to have a united front against Daesh, this will make life a bit more difficult.” Interestingly, just a day before Nimr’s execution Saudi Arabia reopened its embassy in Baghdad after a 25-year break. While this was formally hailed as the start of a new era in cooperation, some see it as an attempt to counter Iranian influence in Iraq and establish an unofficial mouthpiece for Iraqi Sunnis in Baghdad. It may also be worth recalling that nine Qatari royals disappeared in Iraq last month, apparently kidnapped while hunting with falcons. An unconfirmed report by Erem News, an Emirati website, claimed that their captors were seeking to exchange them for Nimr al-Nimr. Obama’s refusal to seriously consider the use of ground combat forces to destroy the army of the Islamic State reflects a continuing inability on his part, and that of his senior political advisors, to understand the nature of enemy. If you do not understand the enemy, you can’t beat him. The Obama administration believes that it is fighting an insurgency. In Syria and Iraq, the would-be caliphate has already accomplished the goal of any insurgency; it is now running a functioning, if dystopian, state. ISIS has a regular army, collects taxes, delivers some form of social services, and runs a brutal but efficient judiciary. Abroad, the Islamic State does encourage and conduct terror, but its appeal to would-be insurgents and terrorists is that it has projected the image of being a winner to young Muslims in countries where they see themselves as losers who are denied the self-dignity and self-respect that they crave. Everyone wants to go with a winner, and if we do not destroy the winner image, the ISIS movement will continue to expand world-wide. The president is acting on a false assumption that American troops will be needed for years in the region to destroy the power of the Islamic State. American troops are needed to destroy the regular army of ISIS and liberate the cities that it has occupied. Once an area is liberated, there are a number of options for occupying and rebuilding the Sunni areas of Iraq and Syria freed from ISIS occupation that does not include US forces. Allies such as the UAE and Jordan are willing participate if they see progress; at the present time, they are frustrated with the American lack of decisive action and leadership, but they would probably be willing to act as temporary mandate overseers in the Sunni areas now under Islamic State control. Remnants of the former caliphate would doubtless engage in guerilla warfare, but Sunni troops are much more capable of dealing with Sunni insurgents than are westerners. The Islamic State's main branch in Libya launched attacks Monday near a key oil export terminal on the Mediterranean, the latest in a growing offensive that national security sources say underscores the terrorist group's desire to seize lucrative territory in the war-torn North African nation to fund its global ambitions. Although the Libyan "province" of the Islamic State has not fully seized control of any major oil operations, the group claimed Monday to have taken over the strategic coastal town of Ben Jawad before clashing with security forces around the nearby Es Sider export terminal. The terminal sits near the heart of Libya's "oil crescent," a stretch of coastline between Benghazi and the central city of Sirte, which emerged months ago as the first significant stronghold for the Islamic State outside of its base in Syria and Iraq. Libya descended into chaos after the fall of Moammar Gadhafi in 2011, and rival governments and the militias that support them have since fought for control of the nation and its energy reserves. 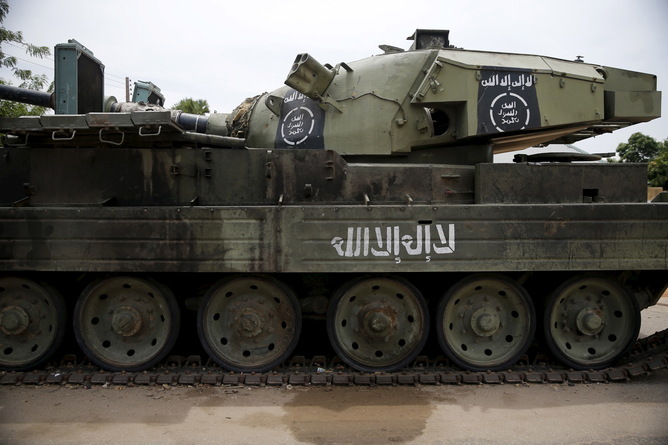 The Islamic State, also known as ISIS and ISIL, has seized on the security vacuum to grab territory in the nation. The latest developments suggest the group is now pushing from Sirte eastward into the oil crescent, which is home to several ports and storage facilities, including one at the town of Ras Lanuf, where a storage tank was set ablaze during Monday's clashes. Haleh Esfandiari is director emerita and public policy fellow of the Middle East program at the Woodrow Wilson International Center for Scholars. Despite many, obvious shared interests, Saudi Arabia is no longer a reliable ally for the United States. True, Saudi Arabia has recently helped keep oil prices down, and this helps weaken the economies of both Russia and Iran. The kingdom and the U.S. agree that Bashar al-Assad should not continue as president of Syria; and they both support President Abdel Fattah El-Sisi of Egypt — the U.S. despite Sisi's autocratic tendencies, Saudi Arabia because of them. Both Egypt and Saudi Arabia are status quo powers in the Persian Gulf, and the Saudis support and facilitate the American military presence in that region. While they have much in common, the Saudi encouragement and financing of a fundamentalist form of Islam is a threat not only to the U.S. but to stability everywhere. But the Saudi execution last week of Sheikh Nimr al-Nimr, a prominent opposition Shiite cleric in Saudi Arabia who was not a threat to the kingdom and whose killing offended the Iranians, was an act that served only to undermine international efforts to resolve conflicts in Syria and Yemen. Yes, executions of political or religious dissenters take place in Saudi Arabia, but this, along with the Saudi encouragement and financing of radical, even violent, Islamic extremism is a threat not only to the U.S. but to stability everywhere. Belgium – Brussels : The European Union is facing a difficult geopolitical climate; a mood of crisis seems to surround the “Old Continent”, while traditional channels of cooperation, innovation and mutual benefits – the Mediterranean Sea, the Middle East, the Black Sea – are now areas where opposing voices and wills are clashing. Beyond these regions, the whole world is developing quickly, and China, the “rising” power, seems to be balancing US supremacy. In this crowded world stage, global actors like Russia are rising (again), while regional powers, such as Turkey or Iran, are increasing their role in our European neighbourhood. The region where all these forces meet and merge together is Central Asia; a “new” area of interest for the European Union. After the end of the Cold War, the Central Asia region has undergone a major shift, with the creation of new states which were previously Soviet Republics of the Soviet Union. Now, after nearly 25 years of independence, it is time for the EU to rethink our approach to Central Asia. Despite the compact shape of the region and a relatively low population, Central Asia is rich in traditions and very diverse in its cultural, economic and social features. The different “stans” – as these countries are typically labelled – are facing many different internal challenges and are under pressure from a range of powerful neighbours. Russia can rely on the Soviet cultural heritage and common infrastructure (like pipelines, railways and land transportation); China on its huge economic power; Turkey on its linguistic, religious and cultural ties; and Iran on its dynamic economy. Among these four players, what can the role of the European Union be? Is there space for the EU in a region so crowded with other players? Today, the different “stans”, despite their internal differences, are a dynamic area where businesses and a general economic development are quickly transforming the traditional landscape. Christmas did not offer much good cheer to the world's bankers, who have received a sustained kicking since the financial crisis erupted in 2008. In the latest blow, Switzerland announced that it would hold a referendum on a radical proposal that would strip commercial banks of the ability to create money, depriving them of a great deal of their profit-making capabilities. If the Swiss proposal catches on around the world, it could shred core business assumptions that have underpinned the banking model over the past three centuries. The earliest banks we know of, in ancient Babylon, were temples that doubled as repositories where one could store wealth. At some point, the guardians of the stored treasure realized they could put this accumulated wealth to work, and banks accordingly began to lend capital. Borrowers would pay interest on what they borrowed, and this interest would ultimately find its way back to the lenders after the banks had taken a cut. The banks became trusted intermediaries that brought lender and borrower together and ensured neither would be cheated. Paper money emerged after people found it was easier to buy things using deposit slips from their bank than carrying gold around. The next evolution happened when bankers realized that since depositors almost never simultaneously withdrew all their funds, banks could lend more capital than had been deposited. This allowed banks to "create" money in the sense that bankers could issue loans not necessarily backed up by hard deposits. Creating revenue in this way proved lucrative, but it brought banks into conflict with rulers, who were notionally in charge of the state's money supply and any gains to be made from it. In England, whose financial system is in many ways the progenitor of today's global system, this battle was played out between banker and ruler in the 16th and 17th centuries. According to a report from the Stockholm International Peace Research Institute, sales of the globe's top 100 arms manufacturers amounted to just over $400 billion in 2014. The United States accounted for 54.4 percent of the world's arms sales in 2014, followed by the United Kingdom and Russia. Seven out of the world's top ten largest arms producing companies are American. Lockheed Martin leads the way, according to the report, with 2014 arms sales totalling $37.5 billion. This chart shows the global share of arms sales by companies by country in 2014 (excluding China). This has been a remarkably violent year - and many of the worst threats to human security that have dogged people all over the globe are no less a problem than they were a year ago. Here, in no particular order, are some of the biggest risks the world faces in 2016. Civil wars last many years longer on average than inter-state conflicts, and have a much higher civilian death count. Civil conflicts have rumbled on in Syria, Yemen, Afghanistan, Ukraine, the Central African Republic and South Sudan to name but a few. The Syrian conflict was the world's most bloody this year, and according to the Syrian Observatory for Human Rights has claimed the lives of well over 210,000 people so far. Then there's the refugee crisis the war has created, which has displaced more than 7.6m people within Syria and made refugees of 4m more. Many of these people are dying in attempts to escape danger - on the Mediterranean sea alone, at least 3,329 people were killed fleeing their homelands this year. Terrorism also continues to make headlines and annual death tolls are rising. Acts of terrorism that killed more than 100 civilians averaged about 4.2 annually from 1978 to 2013; in 2014 that figure rose to 26, a jump of more than 500%. In fact acts of terrorism killed 32,658 in 2014 - roughly nine times more people were killed in terrorist attacks than in 2000. Far outweighing the death tolls of the assorted attacks on Westerners in Tunisia, France and Egypt, the five countries that have suffered the most are Syria, Iraq, Afghanistan, Nigeria and Pakistan. Nigeria has been especially blighted by acts of terrorism thanks to the persistence of Boko Haram, which killed at least 3,500 people in Nigeria in 2015 - admittedly a decline from 2014 when an estimated 6,347 died at the hands of the terror group. Even higher than the death toll due to acts of terrorism is the body count from organised crime. In Mexico alone, 20,000 people were killed in 2015 - and this is in fact an improvement on the 27,000 who were killed in 2011. Mexico's challenges are in fact so great that they're starting to resemble an all-out war.